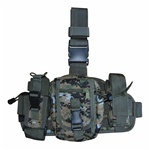 wholesale tactical gear for Left handed users, Lefty Gear, Airsoft Tactical Gear, Protective mask, gun holster, pistol holsters, leg holsters and shoulder holster, Airsoft vest, paintball vest, tactical vest. Gun bags, rifle bags, lefty. Universal tactical vest with many pouches, quick draw holster and belt. One size fits most. For LEFT HANDED. Fully adjustable MOLLE web tactical vest, one size fits most. Fully adjustable MOLLE web tactical vest, one size fits most. Fully adjustable MOLLE web tactical vest, one size fits most. 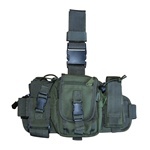 Fully adjustable MOLLE Tactical Chest Rig. Nice belt holster with pouches. Durable polyester with PVC coating. Tactical drop leg pistol holster with extra magazine pouch on the front. Nice small belt holster. Compact Design for pistol up to 6.5". Nice small belt holster. Compact Design for pistol up to 6.5". Nice small belt holster. Compact Design for pistol up to 6.5". Nice small belt holster. Compact Design for pistol up to 6.5". Nice quality tactical drop leg holster assembly with extra magazine pouch. Easy to secure to tactical utility belt. 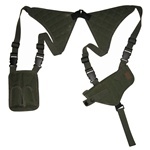 High quality shoulder holster with one holster and one clip pouch. Designed for both left and right handed use. High quality shoulder holster with one holster and one clip pouch. Designed for both left and right handed use. High quality shoulder holster with two holsters. Designed for both left and right handed use. Elastic waist band ambidextrous holster for concealed carry. Large size. Fits waist sizes from 40" to 48". Elastic waist band ambidextrous holster for concealed carry. Medium size. Fits waist sizes from 30" to 38". Excellent quality drop leg magazine pouch assembly. 2 magazine pouches. Nice quality tornado tactical leg holster with extra magazine pouch. Velcro secured holster for a variety sizes of pistols. This Ambidextrous holster made from lightweight durable material. Fits most medium to large frame pistols and revolvers inside the pants for concealment. This Ambidextrous holster made from lightweight durable material. Fits most small to medium frame pistols inside the pants for concealment. Deluxe ambidextrous belt holster designed for left or right handed use. Works with any belt up to 2 1/2 inches wide. Deluxe ambidextrous belt holster with spring steel removable belt clip . Fits M1911, Beretta, Taurus, S&W and More. Deluxe belt holster with magazine pouch. Works with any belt up to 2 1/2 inches wide. Tactical thigh holster assembly with extra magazine pouch. Easy to secure to tactical utility belt. Covered handcuff case with snap closure. Fits up to 2.25" belt. MOLLE Drop Leg Platform. Fully adjustable and removable leg straps. Accepts TG3xx Series MOLLE Web Accessories. MOLLE Drop Leg Platform. Fully adjustable and removable leg straps. Accepts TG3xx Series MOLLE Web Accessories. MOLLE Drop Leg Platform. Fully adjustable and removable leg straps. Accepts TG3xx Series MOLLE Web Accessories. MOLLE Drop Leg Platform. Fully adjustable and removable leg straps. Accepts TG3xx Series MOLLE Web Accessories. MOLLE Drop Leg Platform. Fully adjustable and removable leg straps. Accepts TG3xx Series MOLLE Web Accessories. MOLLE Drop Leg Platform. Fully adjustable and removable leg straps. Accepts TG3xx Series MOLLE Web Accessories. High quality and fully adjustable horizontal shoulder holster. Modular design allows for both left and right handed use. High quality and fully adjustable horizontal shoulder holster. Modular design allows for both left and right handed use. Wrap around universal design fits virtually any handgun or pistol. Attaches to any Velcro surface. Wrap around universal design fits virtually any handgun or pistol. Attaches to any Velcro surface. Wrap around universal design fits virtually any handgun or pistol. Attaches to any Velcro surface. Unique design funny pack with a universal holster for concealed carry. Universal pistol holster. Attaches to any Velcro surface on vests, leg rigs, pouches and gear bags. Fully adjustable tactical MOLLE utility leg rig. Comes with three detachable pouches. Fully adjustable tactical MOLLE utility leg rig. Comes with three detachable pouches.